The DN-S3700 is exactly what many professional DJs have dreamed about – a hybrid digital/analog design with a larger platter that not only affords access to all types of media playback styles, including MP3 disc access, but lets users express themselves creatively using classic vinyl tricks of the trade, with the original touch-feel design of vinyl that many DJs grew up with, and that really started it all! With the addition of the new DN-S3700 to our lineup, Denon DJ is giving working DJs an even more comprehensive range of every kind of tool and solution they need to succeed and grow their creative talents. Considering purchasing the Denon DNS3700 CD/MP3/USB Digital Media Turntable? Have questions? Ask people who've recently bought one. Do you own the Denon DNS3700 CD/MP3/USB Digital Media Turntable? Why not write a review based on your experience with it. 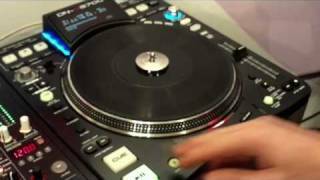 Seen a video for Denon DNS3700 CD/MP3/USB Digital Media Turntable online or have you own video? 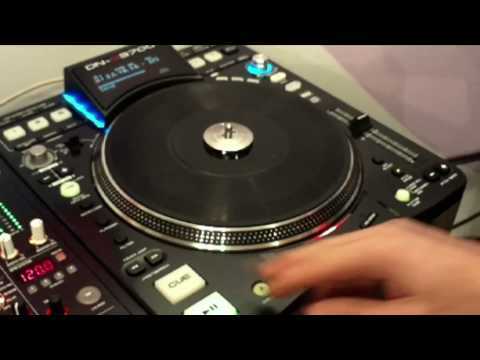 Check out Denon DNS3700 CD/MP3/USB Digital Media Turntable on DJkit.com!